After a splendid whirlwind trip to Montreat College in the breathtaking mountains of Western North Carolina where I had the great privilege of talking about the integration of faith and learning, new initiatives within the college to emphasize vocation, calling, and work, and how faculty and others can mentor students into the radical practices of Kingdom living in all areas of life, I flew home, packed up the van, and heading into the equally breathtaking concrete canyons of mid-town Manhattan. While I was on the road we lost the largest sale of our 31 year career due to, I am convinced, a scurrilous bit of hanky-panky from a publisher and a well-known Christian author. 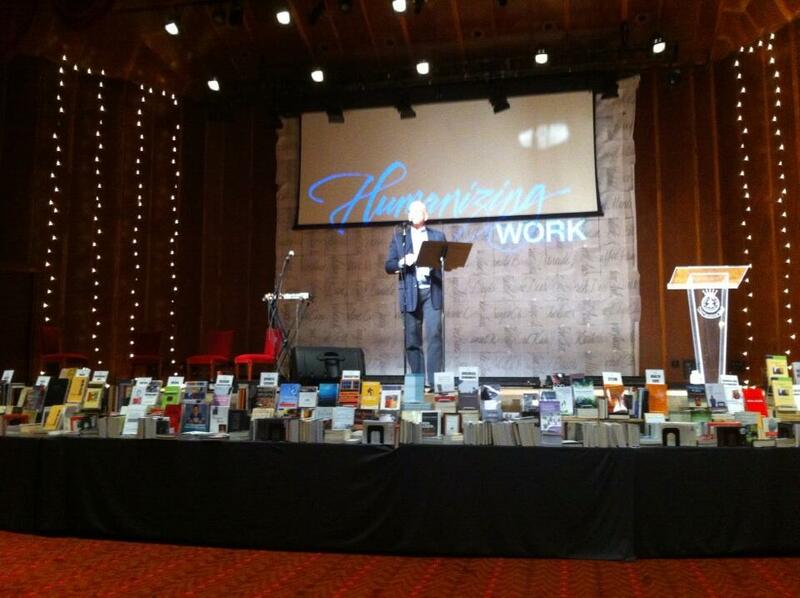 Ironically, we were heading to New York to sell books at the esteemed Redeemer Presbyterian’s Center for Faith & Work’s annual conference, this year around the theme of Humanizing Work. Yes, there would be calls to better business ethics and reform of the world of work in a greedy commodity culture. The contrast between the idealistic students and teachers at a rural Christian college and the sophisticated fast-paced texture of the New York culture-makers, and the real-world, back-home violation of basic rules of retail publishing, made my head spin. So we need this stuff, learning to make the world a better place, not Playing God as Andy Crouch’s very important new book on power warns, but truly taking up Christ’s ways of love for neighbor by promoting, as Rev. 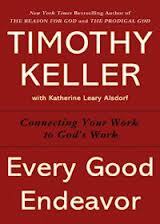 Timothy Keller put it in a good keynote, human flourishing by strengthening the common good. From the inspiring “lead from the heart” presentation by leadership consultant Mark Crowley (maybe you’ve seen his essays in Fast Company) to the passionate neo-Calvinist preaching of Anthony Bradley, from the amazingly helpful and wonderful presentation by Nancy Ortberg to the informative overview of the history of the faith and work movement and an up-to-the-minute report by David W. Miller of the Princeton University Faith & Work Initiative, we heard great, great, speakers inspiring us to join God’s redemptive purposes in the world by taking up the call to integrate faith and work. There were dozens of workshops, interviews, panels, artists, musicians and experiential glimpses into creative stuff which celebrates the human and humane – from farm to table chefs to high financiers working to understand the indices in normative ways to architects, designers, retailers, teachers, elected officials, engineers. Their faith-inspired intuitions and bold experiments were remarkable and these folks were stimulating to talk with. Some participants knew they needed to do a bit more intellectual heavy lifting to deepen the theoretical foundation for what they do and were glad to see our books. Many of the attendants were eager to learn that there were titles about their respective fields and everybody complimented us on bringing – curating, as they say – an array of titles, Christian and otherwise, that can help one understand the history of one’s field, and the unique quandaries facing Christ-followers and others of good will in this day and age. Each of our spheres of influence and job-sites and institutions offer unique challenges and opportunities and folks were thinking hard and praying specifically for vision and wisdom in their particular callings. That is, they were eager to read Christian books about medicine, teaching, economics, art, music, theater, about computer technology, about racial justice, about urban planning, about politics and clothing and food and farming and journalism. From the sciences to the liberal arts, from history to mathematics, we heralded books to help equip, as some put it, the laity. The people of God serving missionally by thinking Christianly, in the world but not of it, career area by career area. In other words, these folks discovered a central part of the selection of Hearts & Minds, and we told many about our (admittedly feeble and in need of updating) Books by Vocation annotated bibliography. As is often the case, some books sold out, and others didn’t sell as we thought. Some great speakers hit a home run, but their books didn’t sell because they presented late in the day, and there wasn’t time to shop after their talks. Some I intended to plug from up front, but didn’t. Yeah, we have a few piles of some left over. So it goes. Which means that we have some books we’d rather sell to you almost at cost and will offer some good discounts here, now. Inventory clearance, you know. 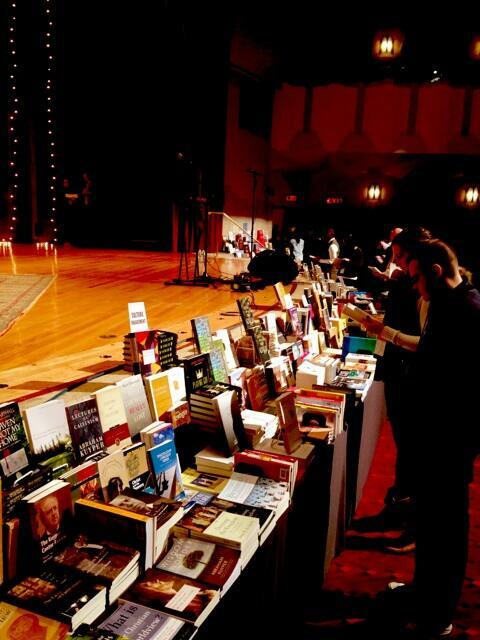 But first, a list of books that sold well at the conference. Thought you’d enjoy knowing, making sure you are aware of the best. We list the regular prices, but will deduct the savings when you order. We will continue to have them at a good BookNotes discount — 20% off. And then these others, further down, are offered for one week only at deep discounts. I’m convinced these are truly stellar titles, and you can’t get a better price on fresh new copies anywhere. I hope you appreciate this offer, but it only lasts until November 20th, 2013. Order ’em now, while supplies last. T he Call: Finding and Fulfilling the Central Purpose of Your Life Os Guinness (Nelson) $17.99 I say this all the time, but it is still one of my all-time favorite books, a wonderfully written, truly informative, game-changing set of reflections on Christ’s call and our response, in discipleship and in our various vocations and callings. Take a lookie here at our big list from a year ago on callling and work and see if any others on this foundational theme call out to you. Everybody should read something on this topic and if you haven’t now is the time. These dry bones are arising! 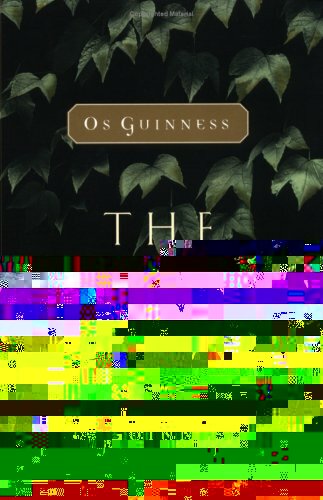 Many of these books, by the way, draw on Os and cite his eloquent work. W ork Matters: Connecting Sunday Worship to Monday Work Tom Nelson (Crossway) $15.99 Again, this is a recent gem, a soon to be modern classic, accessible and upbeat, telling the tale of a pastor who started preaching about these themes, equipping the folk in his church to take their faith into their jobs, offices, schools and businesses. There are splendid sidebars, stories of others who have thought Christianly and creatively about the culture-making implications of their work in architecture, sales, education, lawyering, and more. There are other books on the joys and sorrows of work, but this is the best place to begin. Very highly recommended. 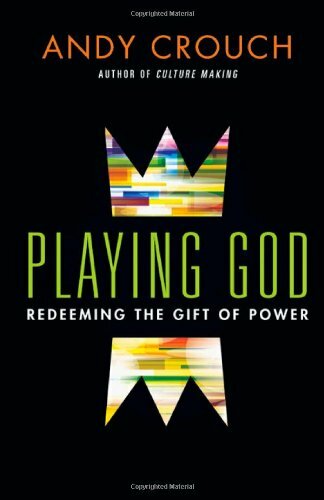 P laying God: Redeeming the Gift of Power Andy Crouch (IVP) $25.00 I guess you know I hinted at my long review of this one last month that it is my pick for my favorite book of 2013. I said that from the big stage, and sold some, but wished the book display had been stampeded. Maybe I should have been more authoritative, exercising my cultural power to influence people to buy this thing. Or maybe I don’t quite have the power I think I do. Come on people, humor me, at least. This book is a winner and you will be wiser and more faithful if you grapple with it. By the way, I gave a shout out to the seminal Culture Making: Recovering our Creative Calling (IVP; $20.00) which is now out in a handsome paperback. 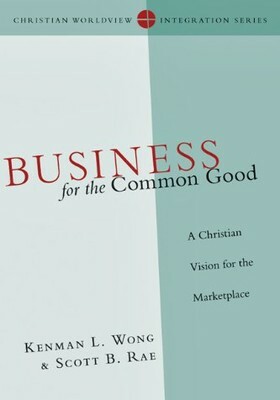 B usiness For the Common Good: A Christian Vision for the Marketplace Kenman Wong & Scott Rae (IVP) $24.00 I told people this was a “step up” in seriousness from the one I promoted from the main stage, Jeffrey Van Dozen’s Why God Cares About Business (And What More Needs to be Done) (IVP; $20.00) These are two must-read books for anyone in business. 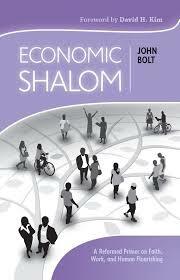 By the way, if you are in the world of high finance or interested in a thoughtful, informed Christian view of the global economic crisis, try this book, by a economist (whose other work is published by the world class Oxford University Press) who is also a working pastor in the financial district of London, The Crisis and the Kingdom: Economics, Scripture and the Global Financial Crisis by E. Philip Davis (Wipf & Stock; $18.00) It is fairly brief, accessible, and a powerful analysis. 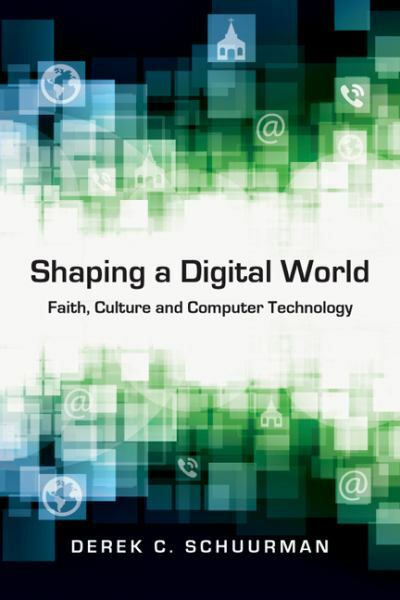 S haping a Digital World: Faith, Culture, and Computer Technology Derek Schuurman (IVP) $18.00 You may recall a huge review essay I wrote that finally got around to saying why this book is the best book on computer technology I’ve yet seen. IT guys and computer geeks of all sorts snapped it up after I mentioned it up front. This really is a must-read for anyone interested in digital culture and thinking in light of “creation/fall/redemption” to get a balanced view of technology. Highly recommended. 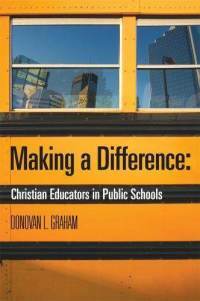 M aking a Difference: Christian Educators in the Public Schools Donovan Graham (Purposeful Design) $21.99 We go out of our way to order this rather rare book because it is one of the best that is clear, substantive, and practical. This is a “public school” adaptation of the excellent one for teachers at Christian schools entitled Teaching Redemptively. Of course we sold a few of Nicole Baker Fulgham’s Educating God’s Children: What Christian’s Can — and Should — Do to Improve Public Education for Low-Income Kids (Baker; $17.99.) The CFW had hosted her for a workshop a few months ago, so many knew her good heart and good proposals. I’ve told people that she is the evangelical Jonathan Kozol. 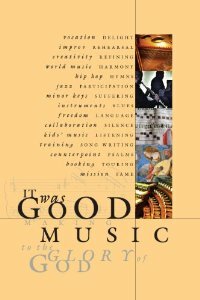 I t Was Good: Making Music to the Glory of God edited and compiled by Ned Bustard (Square Halo Books) $24.99 You know that we’ve pushed this everywhere we could since it released last month. See my long review, here. I was a bit restrained talking about this one from the big stage since I was running out of time — if you heard me at Humanizing Work, this was the last one I mentioned, and I quickly shared my delight in it. It is one of the best of the year, great for anybody who enjoys music, essential for anyone in the field. With Broadway actors in the crowd we happily sold a few of the helpful Performing the Sacred: Theology and Theater in Dialogue by Todd Johnson & Dale Savidge (Baker; $22.00), of course, and Ian Bradley’s fun book You’ve Got to Have a Dream: The Message of the Musical (WJK; $30.00.) Obviously. 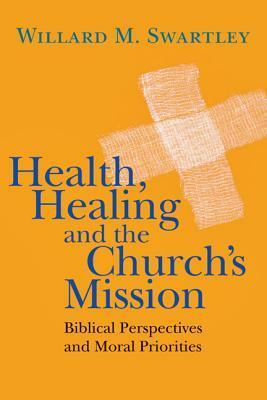 H ealth, Healing and the Church’s Mission: Biblical Perspectives and Moral Priorities Willard Swartley (IVP) $24.00 We had a dozen different books on health care, healing, wholeness, medicine and the like. One family doc told me he did his residency here in York, years ago and was influenced by our dear friend Dr. Peter Piper and other evangelical doctors. Another complimented us on our selection; he had started an urban health care clinic designed for the under-served. He liked that we had Dust and Breath: Faith, Health and Why the Church Should Care About Both by Kendra Hotz and Matthew Mathews (Eerdmans; $14.00) a good telling of the good work of the clinic founded by Dr. Scott Morris in inner city Memphis.) This one by Willard Swartley is a masterpiece, an in-depth study of health in the Bible, by a premier Mennonite New Testament scholar. Highly recommended. DEEP DISCOUNTS ON THESE FIVE TITLES. ONE WEEK ONLY. E very Good Endeavor: Connecting Your Work to God’s Work Timothy Keller & Katherine Leary Alsdorf (Dutton) $26.95 SALE PRICE $16.50 There is no doubt in my mind that this is the most substantive and important book in the recent spate of books on this urgent topic, most likely the best ever. If you care at all about this field, you should have this. If you don’t care about this field, I hope you pick this up to be challenged and convinced. If you care about this topic and your pastor doesn’t seem to, give him or her a copy. Buy a few, start a group, read it with others, at church, at college, at work. Give a few as Christmas gifts Now is the time, buy this on sale while you can. Keller, of course, is an excellent, clear, solid writer and a very good thinker. Katherine Leary Alsdorf who wrote much of this happens to be one of my favorite people, an insightful business woman with extensive corporate experienced, a lover of Christ and a gospel-centered leader. Highly recommended. 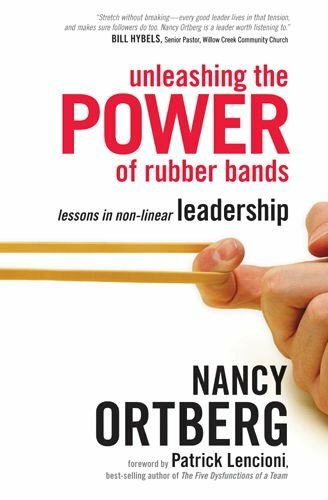 U nleashing the Power of Rubber Bands: Lessons in Non-Linear Leadership Nancy Ortberg (Tyndale) $17.99 SALE PRICE $10.00 This is a very nice book by a great author and speaker, perhaps best known as the wife of famous pastor and author John Ortberg. She is a great communicator in her own right, and we’ve often recommended this innovative and fascinating work on leadership. It is ideal for nearly anyone – college students and rising leaders, women in church or at work or neighborhood, anybody needing to be refreshed in the art of vision casting, managing conflict, nurturing healthy teams. We were really, really impressed with her and had her presentation not been late in the afternoon, I think we’d have sold a ton of this book. As it was, folks had to move to their next events in other parts of the city, so we have a bunch, which we are happy to promote here. You will be glad. While supplies last. 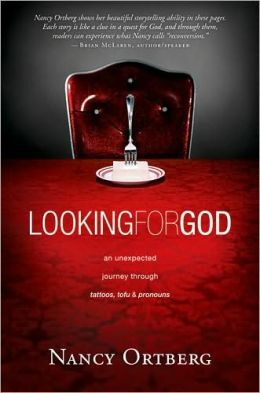 L ooking for God: An Unexpected Journey Through Tattoos, Tofu and Pronouns Nancy Ortberg (Tyndale) $14.99 SALE $10.00 Again, we were thrilled to meet Nancy, and were very impressed with her delightfully good talk. When I read this a few years ago I loved it, realizing it was ideal for a number of different sorts of folks – it is part memoir, part Christian testimony, part an argument for doubt and struggle, especially during her years as a young mom. She has been through a lot and this creatively done book tells her story, inviting us to pay attention to the details and texture of our daily lives, and respond to the call of the Spirit in the mundane. I love this stuff, and having met her, now, will revisit this book again myself, soon. I love books that affirm that “God is in the details” and this collection of well-crafted pieces remind us to find the holy in the ordinary. This would make a great gift for those who perhaps see themselves as outside of the church, or too cool for organized religion or are needing help in discovering God in the real world. Very, very nice. 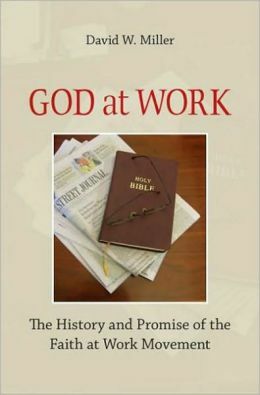 G od at Work: The History and Promise of the Faith at Work Movement David Miller (Oxford University Press) $29.99 SALE PRICE $19.99 I think the cover of this sturdy hardback is a bit too staid — that Bible and the Wall Street Journal — and although this is a history of the movement, with tons of social science research, it is nonetheless riveting, a must-read! Story after story, city after city, workplace after workplace, Miller reports to us of this still not well-known aspect of God’s renewal, happening under our noses, in our workplaces, at the end of the 20th century. He documents the efforts to bring this wholistic gospel of the Kingdom to bear in different modalities and ways into the marketplaces and job sites of our messy, secularized world. He has a section on Sam Shoemaker’s vision about Pittsburgh which lead to our beloved Pittsburgh Experiment (and now Serving Leaders) and documents the generative early work of Laity Lodge. He mentions heroes of mine like William Diehl (who spoke at Jubilee in the 1970s and made a huge impact on me.) Man, I love this stuff. Anyone who is a leader in this movement needs to know this history. If you are not, maybe you would enjoy hearing about the on-going efforts people are being lead into, the organizations, strategies, and visions for marketplace ministry and workplace faithfulness. Get it now, on sale. It is important, and Miller is a good, good guy. 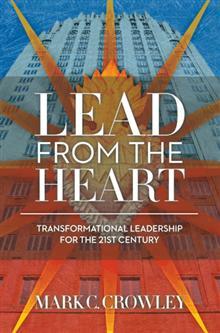 L ead from the Heart: Transformational Leadership For the 21st Century Mark C. Crowley (Balboa Press) $13.95 SALE PRICE $10.99 I mentioned this upbeat guy above, and meeting him was a trip – what a story he has of overcoming an abusive childhood, learning to put one foot in front of the other and becoming a hugely successful executive in supervising regional banks and their financial products. As he grew in deeper insight, he realized that the heart is the heart of the matter and that love shown, encouragement offered, supportive workplaces created, trust enhanced, really does pay off. He sounds off against financial and social manipulation of employees (“the carrot and the stick”) and makes the case that treating others with humanness and care really does work. He is not suggesting that we manipulate folks to produce more by being nice (although Keller pressed him on that in the conversation time) but is saying (without any Biblical references) what those who advocate for “servant leadership” have long said. Leading from the heart is where it’s at. I felt very glad to meet Mark and glad to talk with him a bit about his journey, his family, his values. This is a cool little book and I think it could transform the work-worlds of many. Since it doesn’t use heavy theological language or posit any traditional religion foundations – he actually talks about cardiology! – it would be accessible to those not comfortable with Christian literature. He makes the case, shows the numbers, tells the story. We don’t have many left, but wanted you to have a chance of getting them at this extra good price.